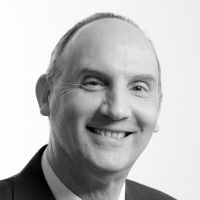 John is a National Leader of Education and serves on the DfE Head Teacher Reference Group. He led Toot Hill School from a ‘satisfactory’ Ofsted judgment in 2004, to ‘good’ in 2008 and ‘outstanding’ in 2011. John provides the strategic lead for the Nova Education Trust, having been instrumental in our formation and growth over the last five years. After five years as Executive Head Teacher at Toot Hill School, Meden School, NUSA and NUAST, John is now focusing on leading the Trust’s development of infrastructure and educational vision. John became Nottingham University’s eighth President of Council in January 2012 and is also a Pro-Chancellor. He has been a member of Council since 2005 and was Treasurer of the University of Nottingham from 2008 to 2011. As President of the Council he chairs Nominations Committee and the Remuneration Committee. He is also a member of Finance Committee. A mathematics graduate of the University of Nottingham he trained as a Chartered Accountant with Kidsons before joining Deloitte Haskins and Sells to specialise in tax, becoming a member of the Chartered Institute of Tax. He became a partner in the firm which, following two mergers, became PricewaterhouseCoopers. John retired from the firm in 2005 having run part of the regional and national businesses. He is now Deputy Chairman of Matalan having been Chairman for six years, a director of a number of private companies and Chair of Directors for the Nova Education Trust. David is currently Executive Head Teacher at our four city secondary schools after leading Djanogly City Academy for two years. Under David’s leadership the academy secured its best ever KS4 results and moved out of special measures. Prior to his role at Djanogly, David led Meden School in Market Warsop out of special measures, securing an Ofsted ‘Good’ rating in 2014. He was previously Deputy Head Teacher at Toot Hill School. 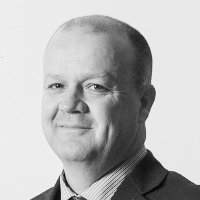 David specialises in school improvement, curriculum development, appraisal and the use of data to drive improvement. 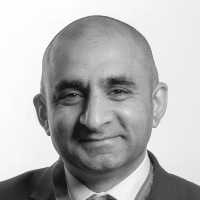 Ashfaq is currently Executive Head Teacher with responsibility for Toot Hill School and Newark Academy. Ashfaq became Head of School at Toot Hill School in 2012 and under his leadership the school has secured excellent examination results that have placed it amongst the highest performing secondary schools in the East Midlands. In 2016, 84% of students secured English and Maths (Basic) and the school achieved a Progress 8 figure of 0.3. Ashfaq is now developing a Trust-wide approach to securing high achievement and working closely with all Heads of School. He has strong expertise in the school inspection process and is a National Leader of Education. 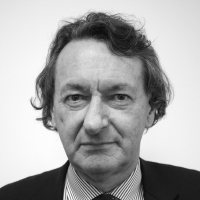 He has vast experience in governance and working collaboratively with other local schools and trusts. Previously, as Deputy Head Teacher at Toot Hill School, Ashfaq led the achievement agenda and the school was ranked in the top 2% of schools nationally. Ashfaq was also a key player in securing the outstanding judgement for the school. 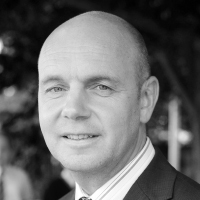 He specialises in personalised learning, staff development, tracking and the use of data, raising achievement, school improvement and school standards. Christopher joined the trust in 2015. He is currently Executive Head Teacher at Meden School in Market Warsop and Garibaldi School in Forest Town, Mansfield. He is also responsible for developing the quality of teaching across the Trust. This includes the CPD programme, shared curriculum provision and training institutions. Helen Duffy became part of the trust executive team in 2015. She has been responsible for Birklands Primary School in Market Warsop and currently works with Victoria Primary School in The Meadows area of Nottingham, Firbeck Academy and provides support to Robert Miles Infant School, Bingham. In 2016 Birklands Primary secured its best ever KS1 and KS2 outcomes securing 65% in R/W/M at Key Stage 2 with a progress score for Maths in the top 10% of schools nationally. In 2017, Helen successfully moved Birklands to Good in its first Ofsted as an academy. 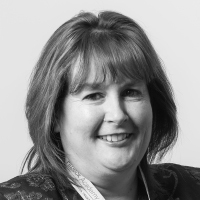 Helen has recently undertaken training in Pupil Premium reviews and is the Trust Safeguarding Officer. Prior to joining the Trust, Helen Successfully led a Junior School in North Nottinghamshire, moving it from Satisfactory in 2011 to Good in 2014. 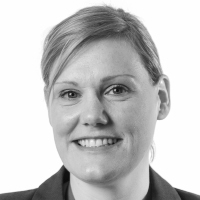 Vicky Hayles became part of the Nova Education Trust executive team in 2017. She is responsible for Westdale Junior School in Mapperley and Firbeck Academy in Wollaton. In 2016 Westdale Junior School was again awarded a ‘Good’ Ofsted grading—its third since 2007 and Firbeck Academy was removed from the Special Measures category that it was placed in in 2015. Vicky has been responsible for leading on assessment and teaching and learning. She has also led on SEN, achieving the National Senco Award in 2012. The trust board aims to devolve as much decision-making to each Local Governing Body (LGB) as is possible. We want schools to belong to their communities and governors to see themselves as major partners in the life of their school. We support and foster strong links between the LGB and Head Teacher and hope all governors can have a high profile within the school whilst holding the leadership team to account. Governors receive regular training so they can undertake their duties and enjoy the experience of helping their school move forward. It will be the governors, in partnership with the Head Teacher, that will determine resource allocation and spending priorities. Each area is guided by a ‘Service Level Agreement’ that is their contract to school clients. The overiding aim of the Central Services team is to allow school leaders to focus on educational matters and provide key services at lowest possible cost in order to enable the school to focus resources in the classroom. The normal charge for this service is 5% of GAG, however the trust does take into account the financial position of each individual school.